Canby Raspberry | Gurney's Seed & Nursery Co. Picking is a pleasure, eating is an experience! Robust flavor,intense red color and a sweet, fruity aroma. Excellent quality fresh, canned or frozen. Self-pollinating. Zones 3-8. 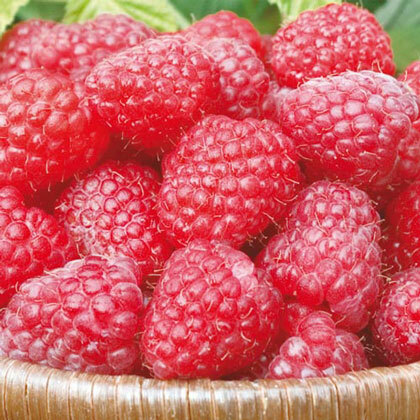 FruitLarge, firm, juicy, high capped, bright red raspberries. Soil RequirementsOrganic, well-drained, slightly acidic, sandy loam. CommentsGrows best in regions with cool Summers. Only thornless red raspberry; very few or no thorns. Fine flavored, high quality fruit. Resistant to viruses. Immune to aphids. 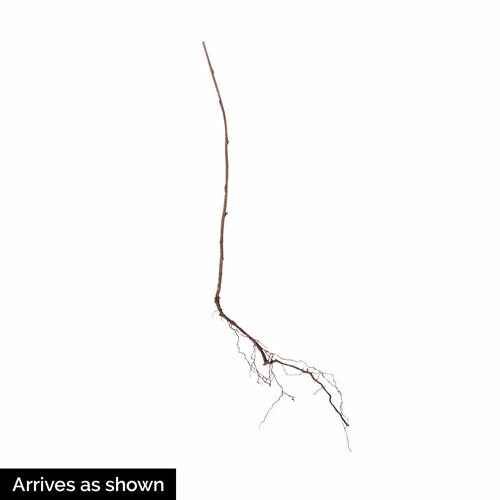 Good soil drainage is required; sensitive to root rot. PLANTING: IN HEAVY CLAY, ADD 1/3 TO 1/2 SAND AND 1/3 COMPOST OR COMPOSTED MANURE. CROWN SHOULD BE AT SOIL LEVEL. WHEN PLANTED IN THE FALL, MULCH AFTER A HARD FREEEZE. GROWTH: PRODUCE ON 1 YEAR OLD STEMS. REMOVE OLD CANES AFTER THEY HAVE PRODUCED MAKING ROOM FOR NEW CANES. IN SUMMER, CUT YOUNG CANES BACK TO 4 - 5 FEET., KEEP LATERALS TO 2 - 3 FEET. REMOVE WEAK, SMALL CANES - LEAVE ONLY 8 - 9 STRONGEST CANES. YieldApproximately 1 - 2 quarts . Size1/4 - 1/2 inch flowers. DepthSame depth as in the nursery.